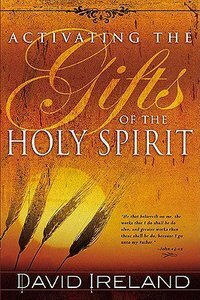 About "Activating the Gifts of the Holy Spirit"
God has destined you to move in the gifts of the Spirit with ease and ability. David Ireland provides practical lessons on entering into and operating in the realm of the supernatural, so that you can experience spiritual power in your everyday walk with God. God's plan for you is that the gifts He has given you become evident in every area of your life. In this dynamic book, David Ireland shows how you can activate the power of the Holy Spirit in your everyday walk with God. Discover how you can understand what the gifts of the Spirit are, hear the voice of the Holy Spirit, know God's heart in every spiritual matter, be miraculously used by God, have authority over Satan's tricks and deceptions, and possess the power of the early church. Learn how you can experience the fullness of God's power by operating in the realm of the supernatural!